Violainvilnius commented on my recent post on Stockhausen's teachers "OMG, we'll have a Messiaen year next year? Where can I emigrate to?". Well, according to today's Observer nowhere is safe. 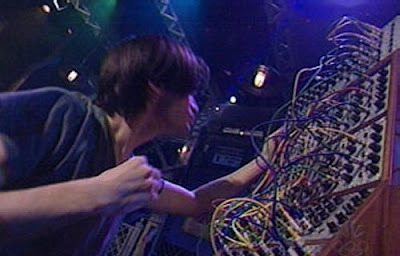 "Radiohead's exuberantly talented Jonny Greenwood is using his time as composer-in-residence with the BBC Concert Orchestra to allow his influences - Ligeti, Messiaen, Dutilleux and Penderecki - to guide his quirky, uneven pen. They certainly seem to be at work behind his latest offering, the soundtrack to Paul Thomas Anderson's acclaimed new film, There Will Be Blood, due for release in the UK next February. Those arid plains are captured impressively in the opening track 'Open Spaces', which employs what is fast becoming Greenwood's 'signature', the Ondes Martenot, an early electronic instrument. Its oscillating frequencies have just the right haunting, vocal quality to evoke an empty, forbidding landscape." Sample a unique sound world with Naxos' excellent Music of the Ondes Martenot. And read the extraordinary story of another electronic instrument here. Violainvilnius commented on my recent post on Stockhausen's teachers "OMG, we'll have a Messiaen year next year? Where can I emigrate to?" Hahaha. I feel your pain, that was me during the Shostakovich centenary last year.